A group of young mothers from the Moscow region have had their breasts removed when they caught severe infections after giving birth. They blame the hospital, saying it wasn't clean enough, and are taking legal action against it. Evgenia Musina's baby daughter is three months old. It’s her first child – and the pride and joy of her life. Like any new mother, Evgeniya just wants her Zlata to be happy and healthy. But she lost that chance when she gave birth – through no fault of her own. “I started running a high fever about a month after we brought Zlata back from hospital. My temperature was really high, and I knew something was wrong. So I called the doctor – but she just said I've got flu,” she said. And then the next day, she said, her breasts turned rock hard. “I was in agony. I searched the whole town for a breast physician, and when I found a doctor who would see me, he took me into surgery immediately,” Evgenia said. The diagnosis was grim – an acute case of mastitis, or inflammation of breast tissue. In a matter of hours, Evgenia went from a happy, healthy young mom to a physically and psychologically scarred woman. She had to have one breast completely removed and the other is also badly scarred. Not only can she no longer breastfeed, she can’t accept that her body has been disfigured. “At first, I thought that it must have been my own fault. I must have done something wrong,” she recalls. However, when she was getting surgery, 37 women came in with the same problem. “All of the girls on our floor in the hospital got the disease. We paid for an independent check-up of the hospital and found out it was full of the staphylococcus bacteria,” Evgenia said. But perhaps even more shocking was the doctors’ reaction. They refused to listen to the women. “They told us it was all our own fault, that we were dirty, that we didn’t sterilize our breast pumps, that we didn't do anything right. There we were, scarred and scared, with newborns in our hands – and they turned us away. They wouldn't even put any of the details in our medical files,” Evgenia said. When it became clear that help from the doctors was not to be expected, the women got together and went to a lawyer. “More than 20 young women came to me to file complaints. But I know that more want to join the case. We filed the papers with the investigative committee – and are now waiting for a case to be opened. We have to go through the committee because of patient confidentiality,” lawyer Georgy Chebanov said. He added, “Doctors can ignore a lawyer's request – but they can't say ‘no’ to the prosecution." The attention, from both the prosecution and the media, made the doctors even more unwilling to talk. RT tried to get the chief obstetrician to tell us his side of the story – but got nowhere. His secretary said he didn’t want to talk to any journalists. Doctors aren’t the only ones feeling the pressure. That’s why many of the young moms who filed legal complaints were invited to the local health care service. “They offered every single woman immediate help. Tests, consultations, surgery to help reconstruct the breasts – all at the expense of the local administration. 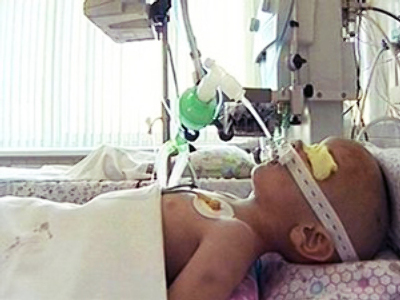 And they say they will find the medical staff responsible for this terrible situation,” Chebanov said. A victory? Maybe. But for the women it means that even if local officials keep their promises and help them – they've got much more trauma ahead: a general anesthetic, surgery, recovery – all with a small baby to take care of. And of course, it means trusting another doctor, which at the moment, seems simply impossible.